Leeds Coalition Against the War (LCAW) was founded as part of the national Stop the War Coalition in September 2001 in the weeks following 9/11, when George W. Bush announced the “war on terror”. LCAW and Stop the War have since been dedicated to preventing and ending the wars in Afghanistan, Iraq, Libya, Syria and elsewhere. We meet on the 1st & 3rd Wednesday of every month. 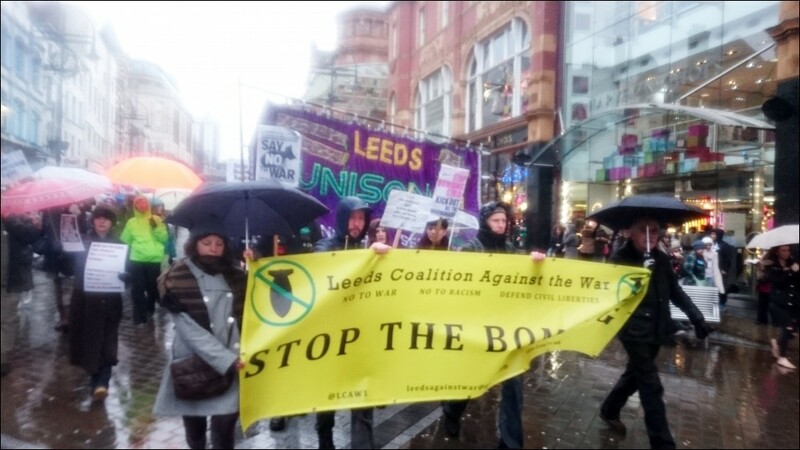 Leeds Coalition Against the War opposes the British establishment’s disastrous addiction to war and its squandering of public resources on militarism. We have initiated many campaigns around these issues.